In this class we’ll transform silk fabric into a richly colored textured surface that we’ll use to create a vase filled with beautiful flowers. Although we’re working with fabric we won’t be using a sewing machine for this project. 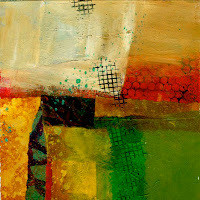 In this two part class we’ll spend the first class together creating the textured surface and painting it. Then once it’s allowed to dry overnight we’ll spend the second class creating the vase and flowers. 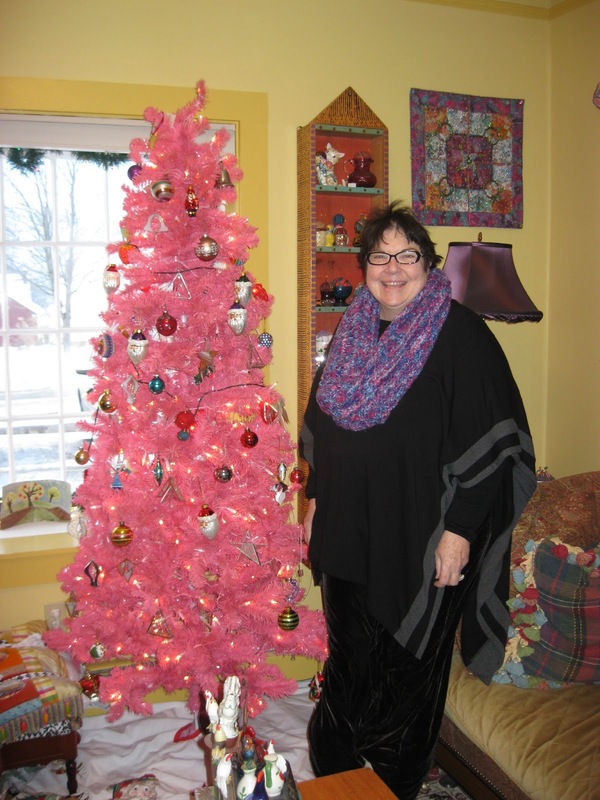 No experience working with silk fabric required –just a sense of fun and adventure! All the registration details for this class are here on the Ink About It website. Registration is limited to 12 students so call Ink About It at 978-392-0321 to secure your spot! Kick off Your Heels Call for Art Shoes: A fundraiser to raise money for donation to the The Barbra Streisand Women's Heart Center at Cedars-Sinai Hospital in Los Angeles, California. Shoe criteria: Start with a pair of purchased shoes. Shoes must be womens size 6 and above with at least a 3" heel. They should be a pump style shoe. No boots, sneakers or sandals please. You can alter your shoes in any way you like but you may not cut the heel off to create a flat shoe. Cut, drill, manipulate, string beads, draw, cover, paint, collage etc. the surface of your shoes. Your only personal artistic style and/or the skies the limit. The artwork cannot exceed 4" beyond the shoes. The high heels don't have to be wearable, but more like art pieces that stand on a table and they must be able to stand on their own without props. All of your embellishments must be firmly attached to the shoes so that nothing will fall off when they are shipped to their buyer. Visit the Kick off Your Heels blog here for more information. 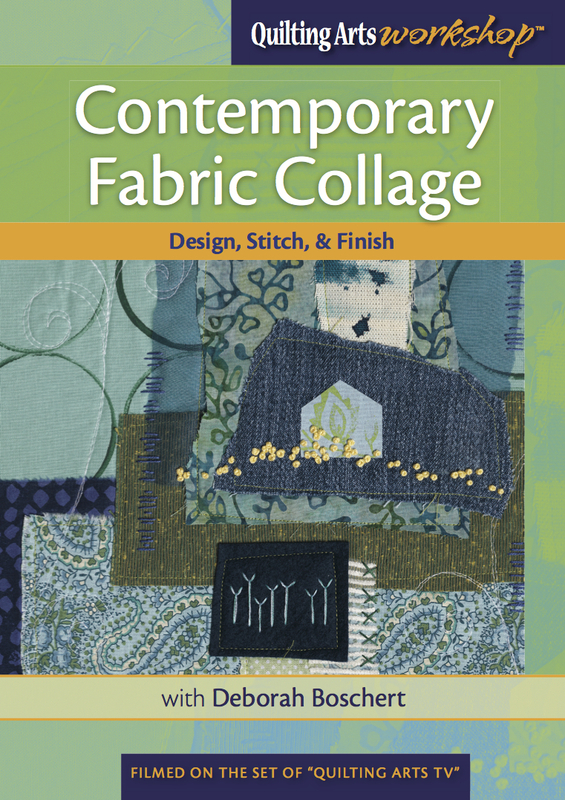 Contemporary Fabric Collage DVD workshop -- also available as an instant download. Deborah teaches several techniques including fabric selection, using sheers, free motion quilting and hand stitched details. 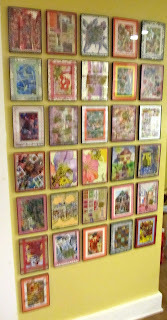 Deborah's Etsy shop has been recently updated with several small art quilts and fabric collages. 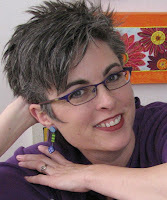 April 18- 21 Artiscape in Dublin, OH. April 24-28 Art & Soul in Virginia Beach, VA.
May 3-5 Smitten Dust in Lansing, MI. 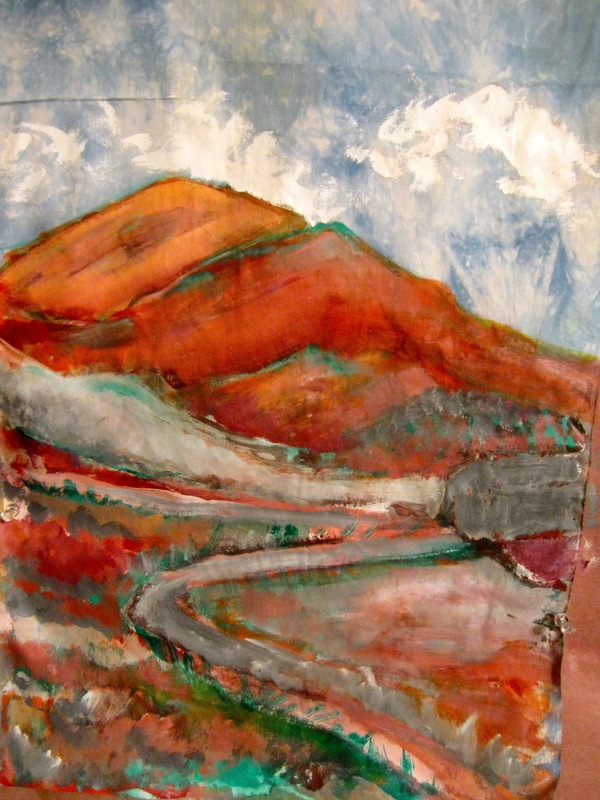 What could be better than a relaxing, and exhilarating Artist Retreat in France June 13-20? Botanical stencils designed by Jane available in her JaneVille Etsy shop. 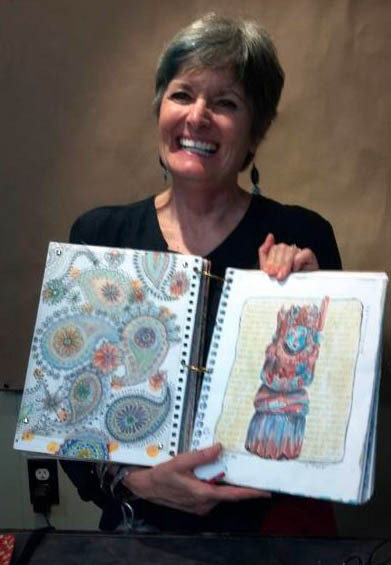 Jane's is teaching CREATE mixed media retreats in Southern California, Chicago and New Jersey. Hi, its Frances. I almost didn't make my Artist's Date, but here I am. I had a few dates this month. I had Jane Davies here with me for an overnight. 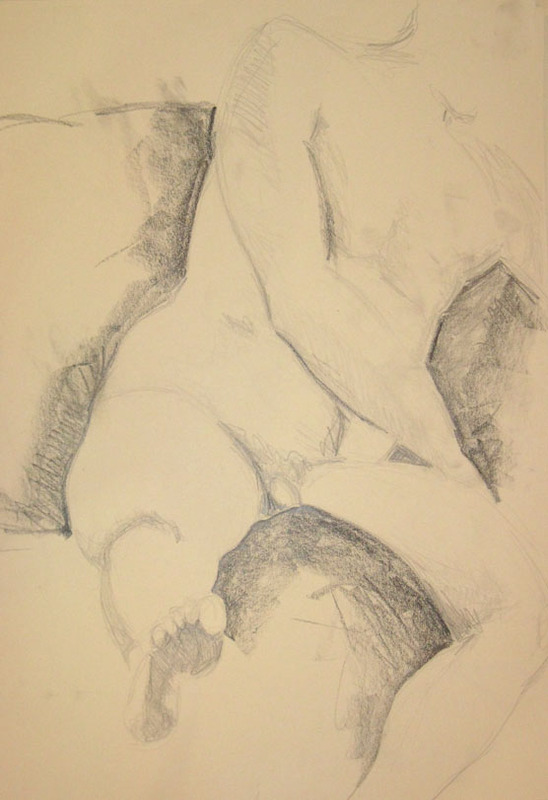 We quickly visited my studio before she headed home after having had her life drawing class the night before. You may have seen the picture she took of the two of us. 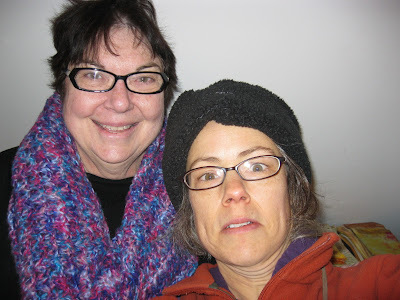 I need to say that we had only been up a short time and had not had our coffee. Jory, Jen and Emily have been meeting me once a week to work on collage. 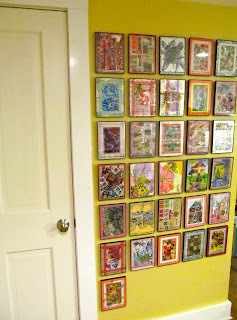 Our next project is Serendipity Cards, organized by Jory. 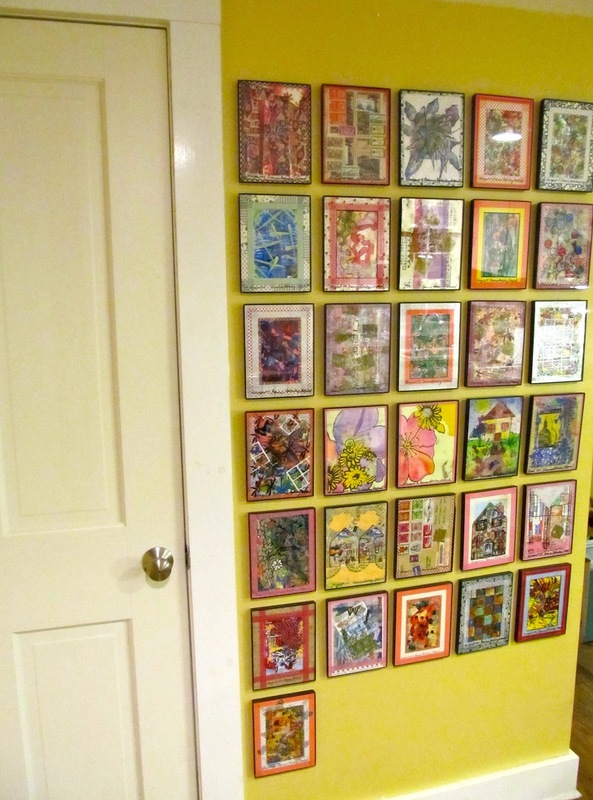 They work a little like Tarot Cards but use our own images. She is suggesting that we cut pictures from National Geographic. I will do this, but I think I will want to do one with my own drawings as well. Rebecca, my niece was here for a week, she just left today. She and the other Jen and I spent all day Saturday working in my studio. I made the preliminary painting on fabric for a book cover commission I have. The end result will show up in February. December 31 was the official close to my Collage a Day project. I am working on the framing and sorting of 366 images and will hang them in the Vermont Institute for Contemporary Art some time in the spring. 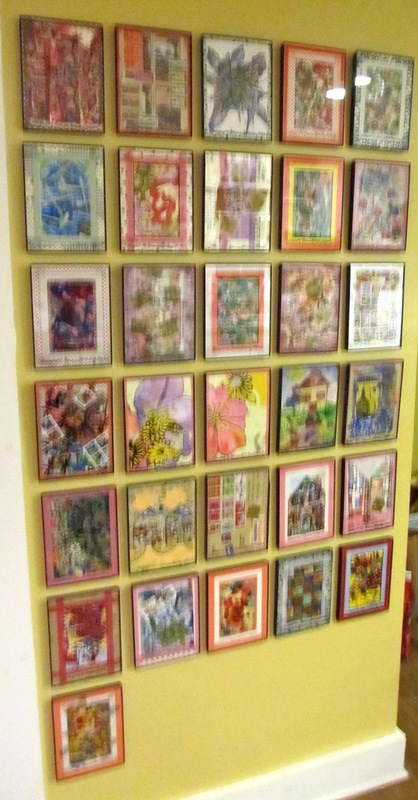 Here is a collection of only August, hung in order in my kitchen. I have been working on an embellished piece for Fritz's sister. Her birthday is in February so I have chosen purple as a nod to her birthstone. As you can see, I have been busy. Right now, I am looking out at MORE SNOW. The view from Fritz's driveway. Hi, it's Deborah. Remember I took a "micro-local" artist date by walking around my neighborhood? Yesterday I looked back at my favorite photo (from the 522 I snapped) and pulled out some paints! I just wanted to play with thick, blobby paint, texture and a bit of subtle stamping. 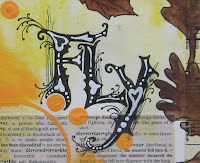 I used two of my favorite stamping/stenciling tools -- sequin waste and a nerf dart. Plus this hand cut pinwheel stamp. I don't think it's essential to go on an "artist date" then come home and put your inspiration instantly in your sketchbook. Sometimes the most important take-away is simply the experience. But, this was a fun follow for me. Jamie Fingal checking in on my latest 'art date.' What if? 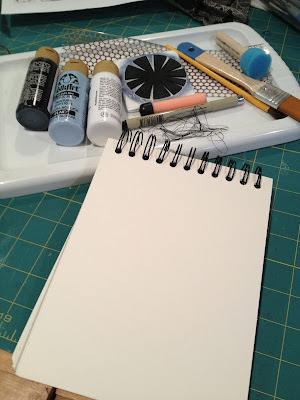 You painted a pair of high heels with Gesso, and then used the surface as a sketchbook? Thinking outside the box, and out of the sketchbook! Sue B here... I am really enjoying reading this months posts about everyone's take on the artist date. Like a lot of the other SC hosts I am fortunate that I have the studio of my dreams (you can take a video tour of my studio here)and because it's attached to my home I get to spend time up here just about every single day. I love the convenience of not having to go outside to get to my studio (especially during the cold snowy New England winter months!) but there are times when I crave the company of not only other artists but also a different atmosphere to work in so every so often I sign up to take a class at a museum not far from where I live. Since I work primarily in fabric I like to sign up for classes in other mediums. I've taken glass blowing, bead making and drawing classes and right now I'm taking an acrylic painting class with Catherine Carter. It meets once a week so it's my standing artist date with myself for 10 weeks. 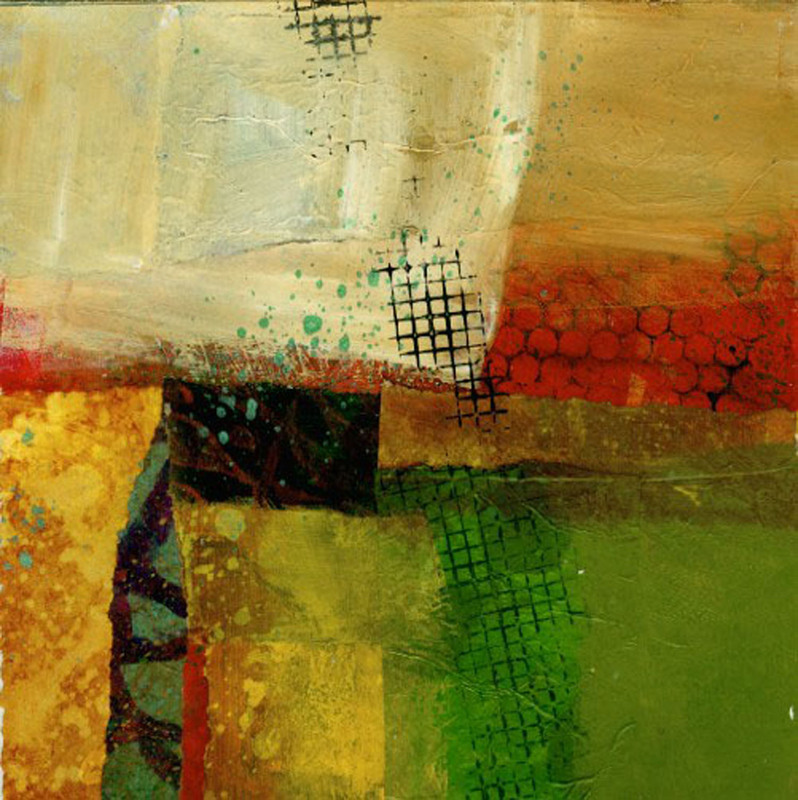 The class is very structured with with a focus on drawing and painting forms, mixing colors, and depicting light, shadow and form in the painting. This is definitely not the way I work in my fiber art and the class pushes me out of my comfort zone for a few hours each week. I find that I get immersed in the class and the time zooms by so fast that it hardly feels like 3 hours have passed. 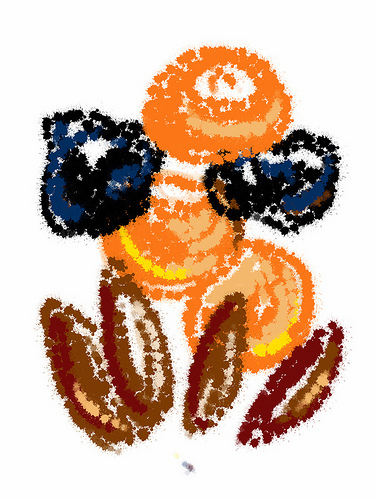 I'm not expecting to come away from the class with any masterpieces but the experience of working with a new type of paint and having to mix the colors I want to work with rather than pulling a premixed color off the shelf gives me a better understanding of color in general. It also gets my out of the studio and away from whatever I'm working on for a few hours which allows me to come back to the studio with fresh eyes and a new perspective on whatever piece I have in progress on the design wall. Think about taking a class or workshop at a local museum in your area. If you don't have access to one then maybe a local fabric, craft, yarn (one of these days I'm going to sign up for a knitting class and finally knit myself a sweater from start to finish!) or art supply store offers classes in a subject you want to learn more about. This one is scanned in sections and put together in Photoshop. The others are photographed. Me taking a picture of us, just to prove it actually happened. 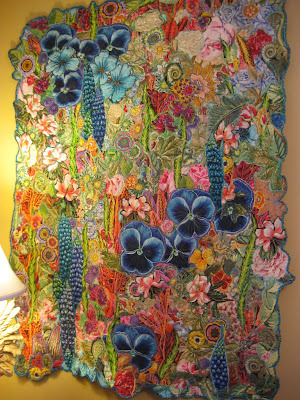 One of the many GORGEOUS fiber pieces in the studio. 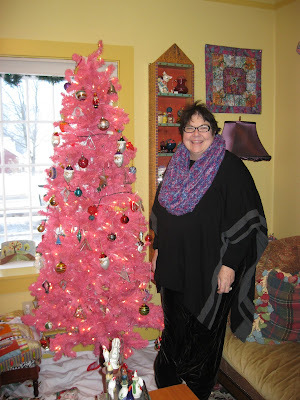 We should all have PINK Christmas trees! THANKS so much, Frances, for the inspiring visit!! I'll try to get in another artist's date before the end of the month. Thanks for visiting. Hi everyone, Desiree here!! I just love this months topic, thanks Traci, it reminds us the importance of taking some time to get recharged and refilled. By taking this time to date your creative self, you give that part of yourself importance. Instead of stealing time you are setting aside time to do things that are different and inspiring. I find that since I have been a working artist for so many years I make a date in my studio everyday to work on something. Like Leslie and Jamie, I love my studio, its all mine and I collect things and have my walls filled with things that inspire and move me. Because art is also my job I sometimes need to remember its FUN!! And it is, so an artist date for me is getting out of my studio and seeing what others are doing by visiting friends or allowing myself to just do something fun. When I spend too much time in my studio I do find that my art starts to become a bit forced. I try and walk or exercise often during the week since art isn't a very active sport, just walking can help me clear my head and feel renewed. A friend and I were able to go to the Craft and Hobby show and met our own Joanne Sharpe!! Fun and inspirational at the same time. I am even happy just going to Michael's or JoAnnes or an art store and looking at papers and stickers, books and magazines all keep me inspired and ideas start to jump into my head so fast I can hardly think straight, so I usually go alone so I can process and don't need to have a conversation at the same time! So I do have many artists dates and I don't want you to think that will change when I share with you my newest artist date. It is something a bit different that I am doing creatively that is outside my box. 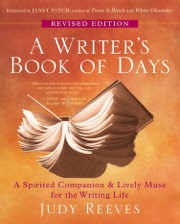 Some time back, Jane LaFazio shared a book on her blog called "A Writer's Book of Days". I am a big fan of Jane and her post inspired me to buy the book, I actually bought a few as gifts for friends. 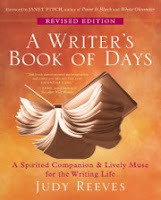 It is a book on prompt writing, for writers, its a great book, thanks Jane! It gives you daily prompts from which you are to just write the first thing that comes into your mind. 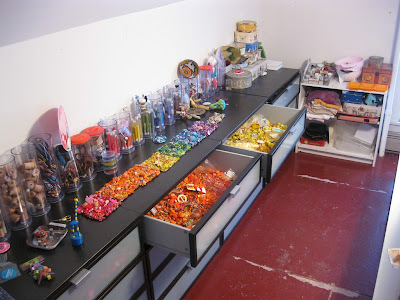 It is very similar to what we do here, give a topic and help to inspire you to set some time aside and create. I thought it would be good way to improve my writing. I do a fair amount of writing with my journaling and my blogs etc. I want it to improve, as with my art, the more we do the better we get. I also have some friends that have always wanted to write, but never have carved the time in their schedules, and life is getting away. We have agreed to do this book together this year, a commitment that I am excited about and also a bit nervous, but I have set a time aside to write! At first it was a bit awkward but its coming easier already. We also have set aside some time each week to meet and go over our writings. 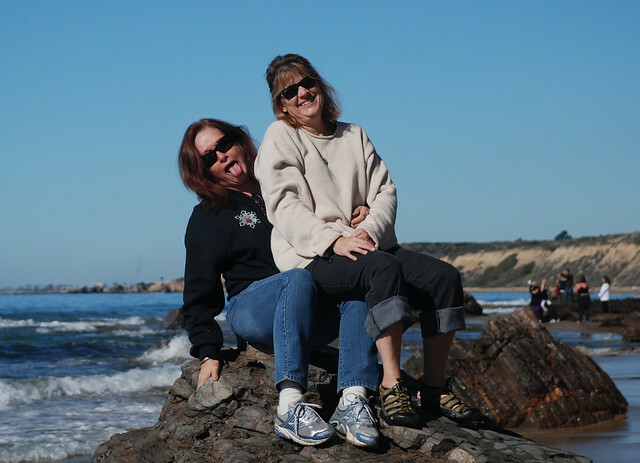 Last weekend our families spent a few days together in a beach cottage in Crystal Cove, Linda and I even taking time to write by the sea! 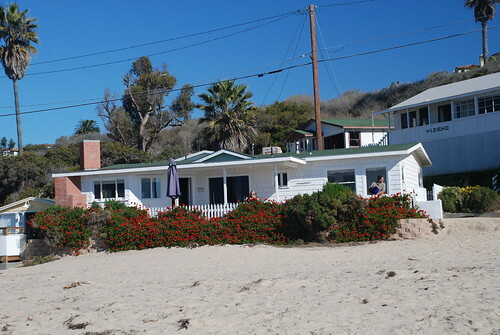 I have painted this beach before and I enjoyed this artist date with a friend writing. My writing is so messy, I am finding once I start writing the thoughts and words start to flood in faster than I can write them down, thats okay. I also realized how much I use my computer and hope by writing using pen and paper my handwriting will also improve! Its a nice break, I already see a pattern or style developing, Linda said that I write like an artist, painting a picture with words. It is a new place where I am recording things I haven't written about anywhere else and I can visualize paintings or quilts coming from these writings. I think this will help remind me about the importance of the journaling I do in many of my sketchbooks. 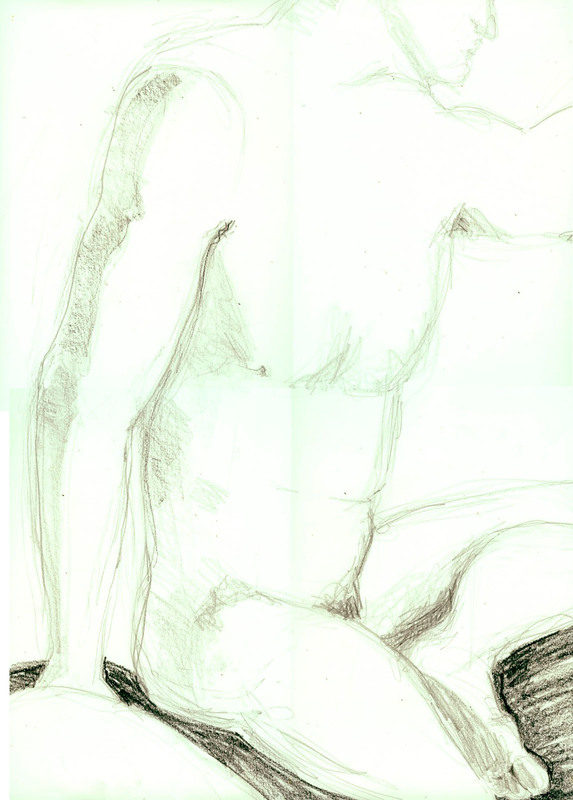 For so long it has just been about the sketching and often the journaling has been an afterthought. When I look back at old sketchbooks I find that my favorite pages in my journals are the ones where I took the time to really share something insightful or something that might be forever lost if I hadn't written about it. Each year, when I visit my mom, I sketch and journal in a special (Mom's Garden) sketchbook (more painting than journaling), just of her gardens and the valley where she lives. This year I only wrote about it and I think I will add my new written pages to this journal. Maybe by gluing a piece of vellum over the painting that holds the writing but allows me to lift it and view the painting. 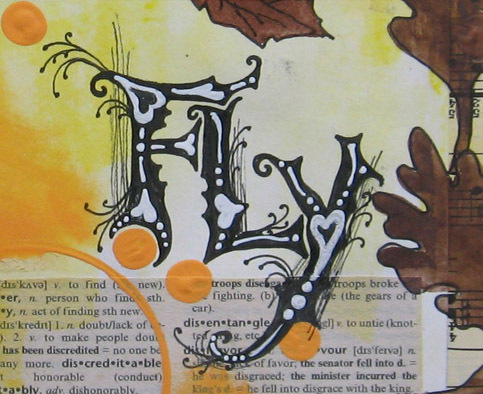 Here is an excerpt from my new written journal that will go with this painted page. "The afternoon has almost ended and I can no longer see the distant mountains as I did but an hour ago. 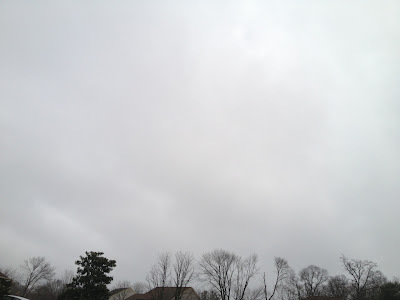 Instead, running along the valley floor, I can see the thick, grey soup rolling in from the coast... I watch as dusk sets and the fog continues to move in, getting closer and closer, engulfing the giant redwoods along its path. The yard is now no longer visible, hidden by our silent intruder which brings a calling card of dampness and cold. The sun eventually turns off the show and we curl up for another cold night, blanketed by our uninvited guest. I hope to add to my sketchbooks and blogs by taking the time to be more thoughtful with my journaling this next year. I hope your artist dates are filled with anything that inspires you to jump in and be creative! !